If you've suffered Property Damage, consider hiring a Public Adjuster! Public Adjusters are Insurance Adjusters that represent the policy-holder, not insurance company. They are consumer advocates and claim advocates that will file your insurance claim, estimate the amount of loss you sustained, and negotiate your insurance settlement to maximize your claim recovery. Most Public Adjusters work on a contingency basis, and work for a percentage of the claim, depending on your State's regulation. Although a Public Adjuster may receive a portion of the funds they collect on behalf of the policy-holder, the policy-holder can be comforted in knowing that a settlement received with the help of a Public Adjuster is usually much higher than a settlement received without the assistance of a Public Adjuster. Public Adjusters usually handle all types of property claims, like: Fire, windstorm (hurricanes, tropical storms and tornadoes), flood, theft, mold, lightning, sinkhole, collapse, hidden decay, structural damage, denied claims, business interruption, additional living expenses, and re-open claims. 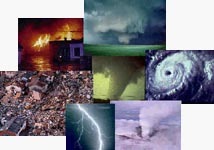 Some Public Adjusters may specialize in only residential homes, but other Public Adjusting companies can usually handle all types of losses such as: Residential, Condominiums, Apartment complexes, Business (including business interruption), Restaurants, Franchises, Warehouses, Boats, Cars, and most any other property insurance claim.